Inventory Control is the fastest, easiest way to organize your inventory using a powerful barcode scanner. Keep your inventory organized and available at all times. Quick scan a item and get stock and price information on the fly without switching views. Recently scanned items are listed while you scan, so you can scan all items and work on them later. Designed for business owners and personal use, Inventory Center is highly customizable and easy to use. - Customize inventory options according to your needs. 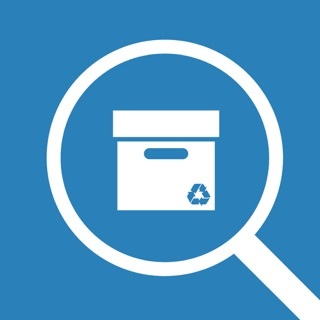 - Maintain items attributes from price and quantity to location in warehouse. - iCloud Support (Sync data between devices and our other apps). - Bill your customers on the spot. Items are shared with our Invoice Center App through iCloud for easy invoicing. - Offline mode: no need for Wi-Fi or data connection. - Data is stored directly on the device. - Compatible with iPhone and iPad. - Maintain item information and stock quickly and orderly. - Support all ISO 4217 currencies. - Add items manually or through barcode scan. - Snap a picture of your products and share them as stock items. - Personalize your own item categories, storage areas, supply list, merchants and currencies. - Mark items as taxable/non-taxable. - Code 39, Code 93, Code 128 and QR for SKU custom codes. - Stock List, Stock Value and Price List Reports. - Email reports as sleek printable PDFs. - Print reports directly using AirPrint. - Export Items to CSV file format. - Subscription plan includes advanced features as backup and restore; barcode and QR image generation for custom SKU. - We are adding more features soon to improve your experience. App take advantage of exciting new iOS capabilities to deliver faster and more responsive experiences. Love this app so far. Can use some more features! I love this app so far. I am using it to inventory my start up e-commerce store. I love that you can quickly creat a report of you inventory and export it. Something I would love is for the export to include the picture taken as well. Also it would be great to be able to share you inventory list or create an account were you can have other team members add and edit the inventory data base. Great app, simple and easy to use! I think this app is very nice to use with over hundreds of products it’s so nice to keep track of everything and pictures of the product and does everything for you with stock value item list all that very great app!!! I will be deleting this app ! When you need help you ask tech support, you don’t expect this in return. Same thing as item, have you even try? Navigate to Settings > Brands or Category and Swipe Left from the main list of brands or categories. I was send instructions on how delete items, after 6 days of waiting for a response and explained how I had been waiting and hope that it was due to updates or then figuring it out themselves. So hopefully no one else needs tech support! And BTW this method doesn’t work either for deleting categories or brands !